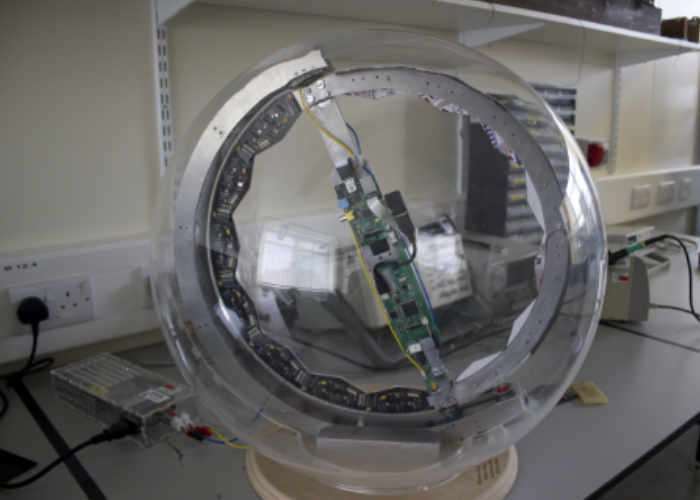 Raspberry Pi enthusiasts that would like to be able to create their very own awesome Death Star POV globe may be interested in new project which has been discovered by the Raspberry Pi Foundation and which was created back in 2013. Watch the video below to learn more about the project which creates an awesome Death Star representation using spinning LEDs and of course is powered by a fantastic Raspberry Pi mini PC. The project was originally launched a few years back by a MEng student group consisting of Thomas Carpenter, Oliver Peel, Adam Clarkson, and Laurence Bird, with supervision from Craig Evans. It uses a ring of RGB LEDs, rotating on an axis at 300rpm, to display an image. A Raspberry Pi sits within the rotating build, offering HDMI connectivity to allow images to be sent to the LEDs via a decoder. Images can be sent to the globe from any smart device, allowing you to display a map with your own chosen coordinates, visual temperature readings, and much more. This makes the globe useful for marketing and education, as well as good ol’ fashioned fun and total planet destruction. 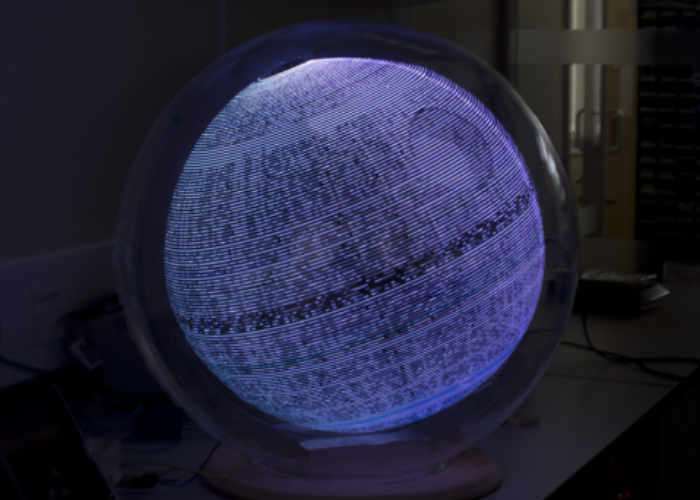 For more information on the new Raspberry Pi Death Star display jump over to the official Vision Globe website for details by following the link below.